The last 19 pcs. on stock Jura does not produce anymore. 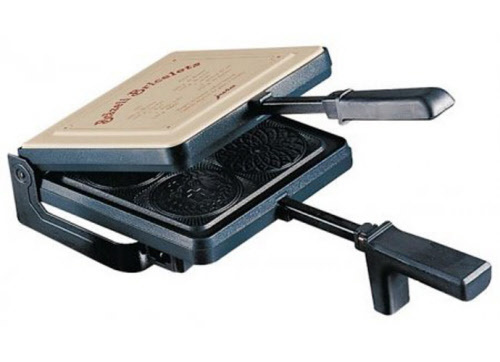 Buy now the last legendary Jura Pretzel Iron! Last 19 pcs. then they are all gone! Buy now the last and legendary! Jura pretzel iron for fine pretzel self made taste best. Enjoy homemade "Bräzeli" as in Grandma's times. An extensive recipe book gives tips for many, sometimes less well known Bräzeln. The die-cast aluminum plates are non-stick coated and decorated with typical ornaments. 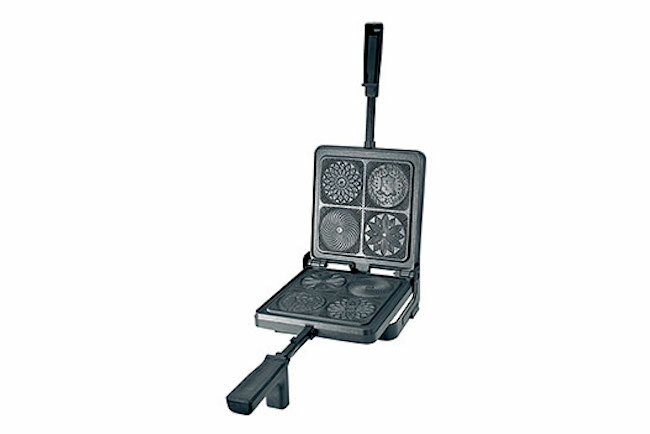 Pretzel iron from cast aluminum, non-stick coated heating element pressed into Pretzel iron, blackened lid made of sheet steel with decorative print, floor and pedestal made of sheet steel, with oil-fat-outlet. 220V and Swiss power plug. Can be used with inverter 110V to 220V. 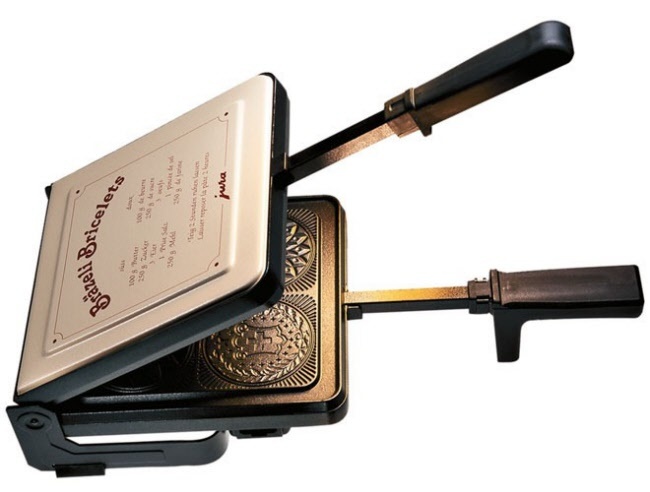 Jura pretzel iron made for fine pretzel self made taste best.